Today’s THREE poliotically INCORRECT Cartoons by A.F. 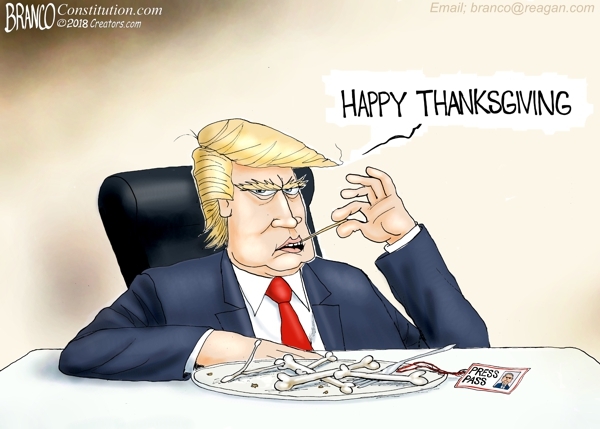 Branco | What Did You Say? Not only is President Trump good at the “Art of the Deal” he’s pretty good at the art of making a meal of the press, especially Acosta. 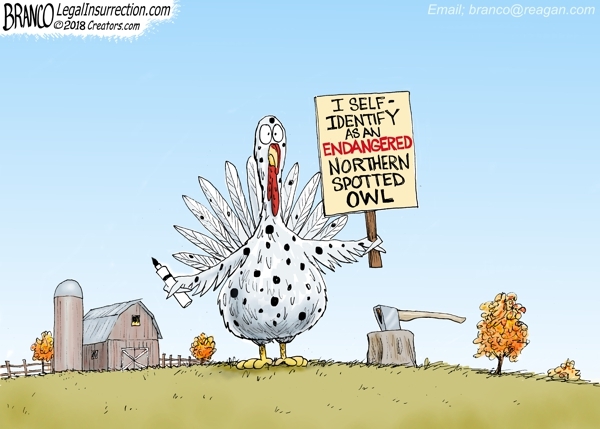 Some will self-identify as something other than who they are this Thanksgiving, but many will be thankful for what they have and who they are this. 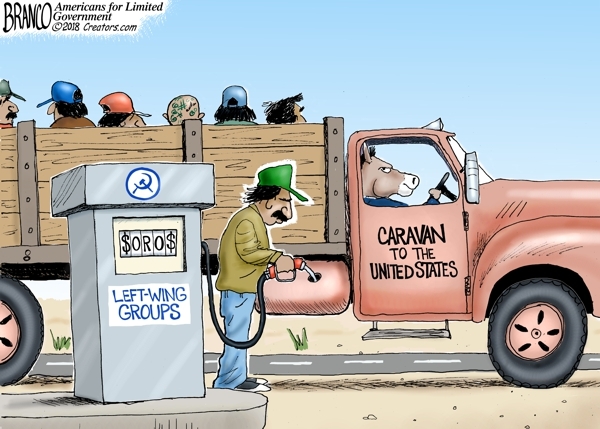 There is now no doubt that the Caravan is being funded and organized by leftist groups connected to George Soros.